Phnom Penh: The U.N. cultural organization added an ancient temple site in Cambodia to its world heritage list, the government said on Sunday, bringing the number of heritage sites in the Southeast Asian country to three. Sambor Prei Kuk, or “temple in the richness of the forest” in the Khmer language, located 206 km north of the capital Phnom Penh, is home to numerous temples, ten of which are octagonal. “Some of these elements, including lintels, pediments and colonnades, are true masterpieces,” UNESCO said on its website. 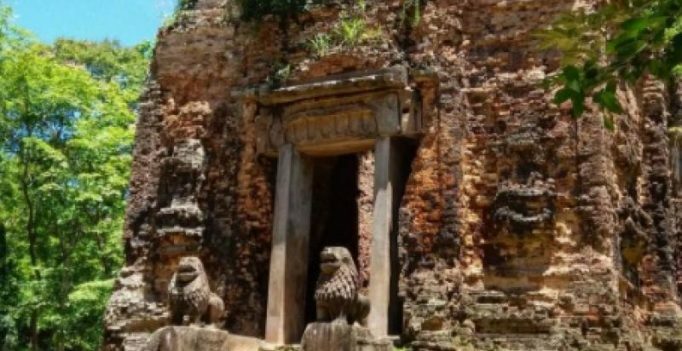 UNESCO said the area had been identified as Ishanapura, the capital of the ancient Chenla Empire, a Khmer civilization that flourished in the late 6th and 7th centuries and preceded the Khmer Empire. Its remains cover an area of 25 square kilometers. The site has become increasingly popular with foreign tourists. “The decision of the UNESCO’s World Heritage Committee is another massive pride for the nation,” the Ministry of Culture of Fine Arts said in a statement on Sunday. Tourist arrivals in Cambodia rose 5 percent to five million last year. About 5.5 million tourists are expected to visit the country this year. Two other sites in Cambodia already have heritage status, including the popular Angkor Wat in Siem Reap province where parts of the “Lara Croft: Tomb Raider” film were shot. Angkor Wat and Preah Vihear, an 11th century temple on the border between Thailand and Cambodia, were listed as World Heritage Sites in 2004 and 2008, respectively. Sambor Prei Kuk was added to the list on Saturday along with other sites in China and India. Tibetan rights groups criticized UNESCO’s decision to extend world heritage status to an extensive plateau area in a heavily Tibetan area, saying it reinforces Chinese control of the region.